Power electronics and electric motor drives; electric machines and electro-mechanical energy conversion systems; electric and hybrid powertrains; advanced electric drive vehicles including electric, hybrid, and plug-in hybrid electric vehicles; transportation energy conversion and vehicular power and propulsion systems; transportation electrification; smart mobility; autonomous-capable vehicles; smart grid and micro-grids; renewable and efficient energy systems; energy and sustainability. Ali Emadi is the Canada Excellence Research Chair (CERC) Laureate and a Professor in the Departments of Electrical and Computer Engineering (ECE) and Mechanical Engineering (ME) at McMaster University. He is also the holder of the NSERC/FCA Industrial Research Chair in Electrified Powertrains and Tier I Canada Research Chair in Transportation Electrification and Smart Mobility. The CERC appointment received $10 million in federal funding over 2011-2018 in addition to significant support from the university. Dr. Emadi’s appointment also includes a new electrified vehicle research facility that is part of the new 80,000 square-foot McMaster Automotive Resource Center (MARC) at McMaster Innovation Park. He served as the Director of the McMaster Institute for Automotive Research and Technology (MacAUTO) from 2011-2015. Dr. Emadi is the Founder, President, and CEO of Enedym Inc. and MenloLab Inc. – two university spin-off companies of McMaster University. Before joining McMaster University, Dr. Emadi was the Harris Perlstein Endowed Chair Professor of Engineering and Director of the Electric Power and Power Electronics Center and Grainger Laboratories at Illinois Institute of Technology in Chicago, Illinois, USA, where he established research and teaching facilities as well as courses in power electronics, motor drives, and vehicular power systems. He was the Founder, Chairman, and President of Hybrid Electric Vehicle Technologies, Inc. (HEVT) – a university spin-off company of Illinois Tech. Dr. Emadi has been the recipient of numerous awards and recognitions. He was the advisor for the Formula Hybrid Teams at Illinois Tech and McMaster University, which won the GM Best Engineered Hybrid System Award at the 2010, 2013, and 2015 competitions. Currently, he is the lead faculty advisor for the McMaster Engineering EcoCAR Mobility Challenge. Dr. Emadi is the principal author/coauthor of over 450 journal and conference papers as well as several books including Vehicular Electric Power Systems (2003), Energy Efficient Electric Motors (2004), Uninterruptible Power Supplies and Active Filters (2004), Modern Electric, Hybrid Electric, and Fuel Cell Vehicles (2nd ed, 2009), and Integrated Power Electronic Converters and Digital Control (2009). He is also the editor of the Handbook of Automotive Power Electronics and Motor Drives (2005) and Advanced Electric Drive Vehicles (2014). He is the co-editor of Switched Reluctance Motor Drives: Fundamentals to Applications (CRC Press, 2018). 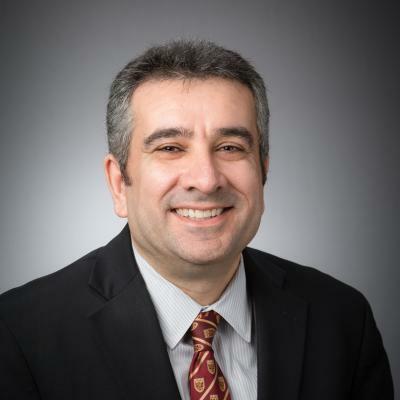 Dr. Emadi was the Inaugural General Chair of the 2012 IEEE Transportation Electrification Conference and Expo (ITEC) and has chaired several IEEE and SAE conferences in the areas of vehicle power and propulsion. He is the founding Editor-in-Chief of the IEEE Transactions on Transportation Electrification. B. Bilgin, J. W. Jiang, and A. Emadi (Editors), Switched Reluctance Motor Drives: Fundamentals to Applications, Boca Raton, FL: CRC Press, ISBN: 978-1-13830459-8, Nov. 2018. A. Emadi (Editor), Advanced Electric Drive Vehicles, Boca Raton, FL: CRC Press, ISBN: 978-1-4665-9769-3, Oct. 2014. M. Ehsani, Y. Gao, and A. Emadi, Modern Electric, Hybrid Electric, and Fuel Cell Vehicles: Fundamentals, Theory, and Design, Second Edition, Boca Raton, FL: CRC Press, ISBN: 978-1-4200-5398-2, Aug. 2009. A. Emadi, A. Khaligh, Z. Nie, and Y.-J. Lee, Integrated Power Electronic Converters and Digital Control, Boca Raton, FL: CRC Press, ISBN: 978-1-4398-0069-0, May 2009. A. Emadi (Editor), Handbook of Automotive Power Electronics and Motor Drives, New York, NY: Marcel Dekker, ISBN: 0-8247-2361-9, May 2005. A. Emadi, A. Nasiri, and S. B. Bekiarov, Uninterruptible Power Supplies and Active Filters, Boca Raton, FL: CRC Press, ISBN: 0-8493-3035-1, Oct. 2004. A. Emadi, Energy-Efficient Electric Motors: Selection and Applications, New York, NY: Marcel Dekker, ISBN: 0-8247-5735-1, Sept. 2004. A. Emadi, M. Ehsani, and J. M. Miller, Vehicular Electric Power Systems: Land, Sea, Air, and Space Vehicles, New York, NY: Marcel Dekker, ISBN: 0-8247-4751-8, Dec. 2003. McMaster Engineering made a big impact in 2017. From improving diversity in engineering, to developing innovative technologies to improve society, to hosting engineering leaders from around the world, here are the top 10 stories of the year.